Among women with dense breast tissue, for whom traditional mammograms are less effective at detecting cancer, who request additional screening after a negative mammogram, abbreviated breast MRI (AB-MR) may be a valuable cancer detection tool. 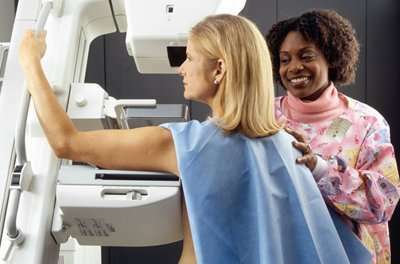 In a study of 195 asymptomatic women with dense breast tissue who had a negative mammogram within the previous 11 months, AB-MR detected five additional cancers after a negative screening mammography, according to preliminary findings from a Penn Medicine team presented this week at the Radiological Society of North America meeting in Chicago. To put this in perspective, the cancer detection rate of mammography is roughly 4 cancers in 1,000 women who have a mammogram. Digital tomosynthesis (DBT), or 3-D mammography, does slightly better, detecting approximately 25 percent more cancers, or roughly 5 cancers in 1,000 women screened. Based on the preliminary results at Penn Medicine, the cancer detection rate of AB-MR screening is 25 cancers per 1,000 patients. One in eight women in the United States will develop breast cancer at some point during their life. "Having dense breast tissue makes it more difficult to detect a cancer on a mammogram," said the study's lead author, Susan Weinstein, MD, an associate professor of Radiology and the director of breast MRI at Penn Medicine. "Based on the literature and our results, women with dense breast tissue who desire supplemental screening, these results suggest that AB-MR may be a better option than other supplemental screening tests such as whole breast ultrasound. The most common exam offered for asymptomatic patients seeking supplemental screening is a whole breast screening ultrasound examination. However, screening ultrasound examinations have higher rates of false positives, meaning more cases of positive screenings where no cancer is present. Based on the results from Penn's study, the AB-MR may be a better option. American Cancer Society guidelines currently recommend a full breast MRI, not an AB-MR, in women who, based on family history of breast or ovarian cancer and/or previous treatment for Hodgkin disease, have a 20 to 25 percent or greater lifetime risk of breast cancer.